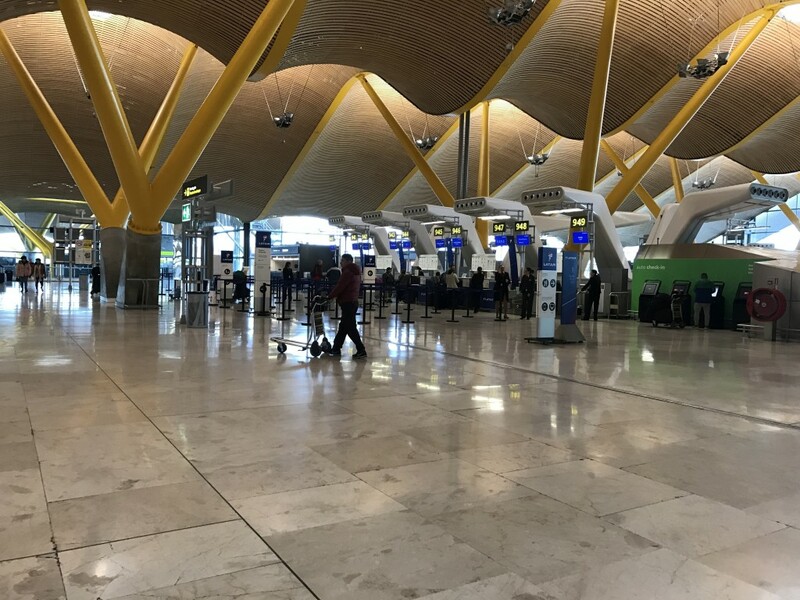 This is my review of the Sala Velazquez Iberia VIP Lounge at Madrid Barajas Airport. 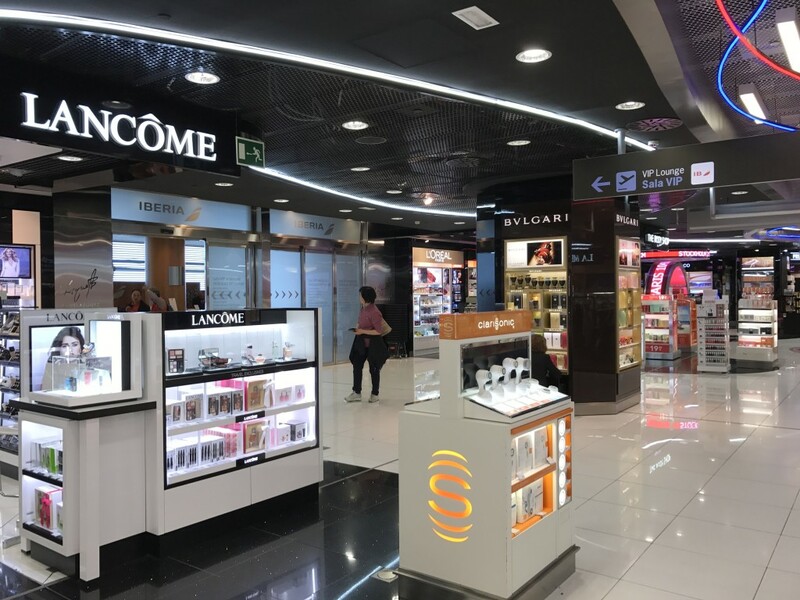 After two days in Madrid it was time for me to fly to my last destination of this trip: Frankfurt. That flight, on a LATAM 787 with a flat bed seat, was actually pretty cool – but more on that tomorrow. The lounge is at terminal 4S and you have to take a train to the RSU gates. 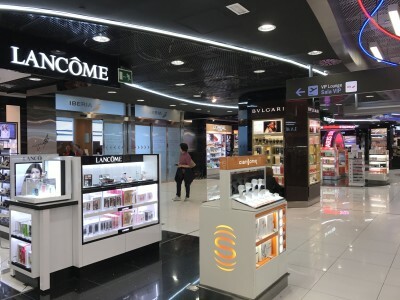 and walk through the Duty Free shop. The entrance to the lounge is on the left. 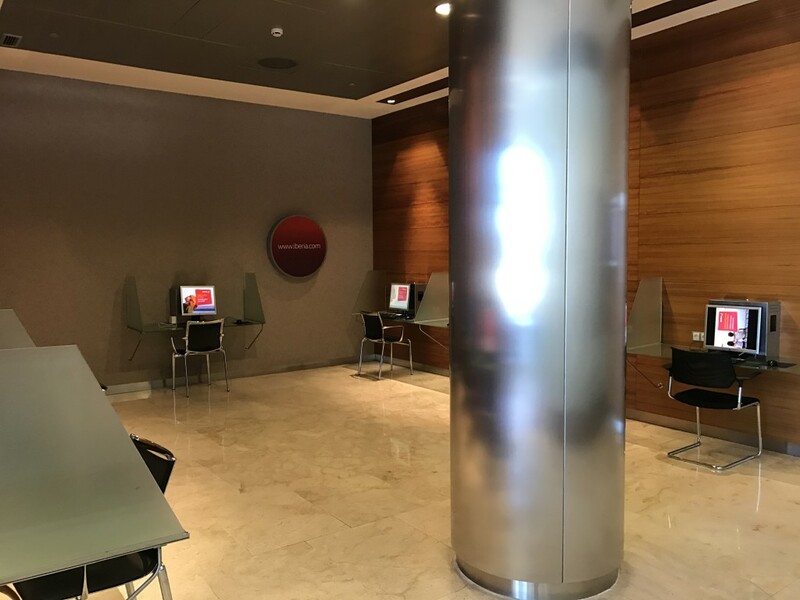 Similar to the Iberia Dali VIP Lounge at Terminal 4 which I reviewed last May, the lounge consists of two identical parts and you can either go to the left or to the right at reception. 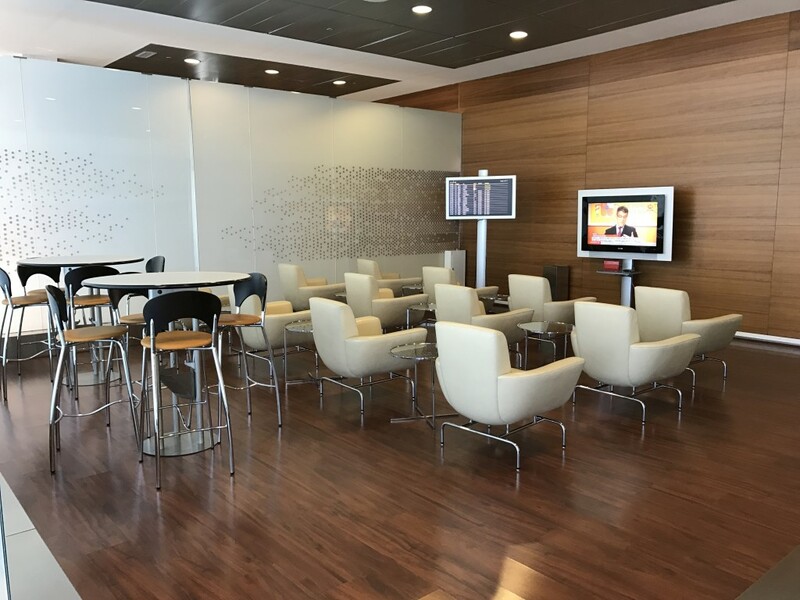 For clarity, this lounge can only be accessed by premium or status passengers. 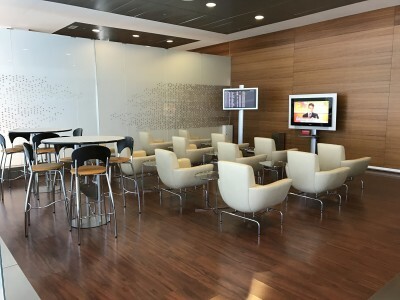 It is not part of Priority Pass or Lounge Club although those schemes have access to five other lounges across the airport. The lounge had a very good amount of seats and the fact that it is effectively two lounges in one means that it should rarely be an issue finding a seat. …. and an area with computers. 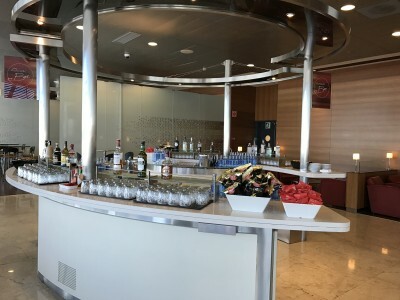 The wine bar at the far end is probably the highlight of the Velazquez lounge. 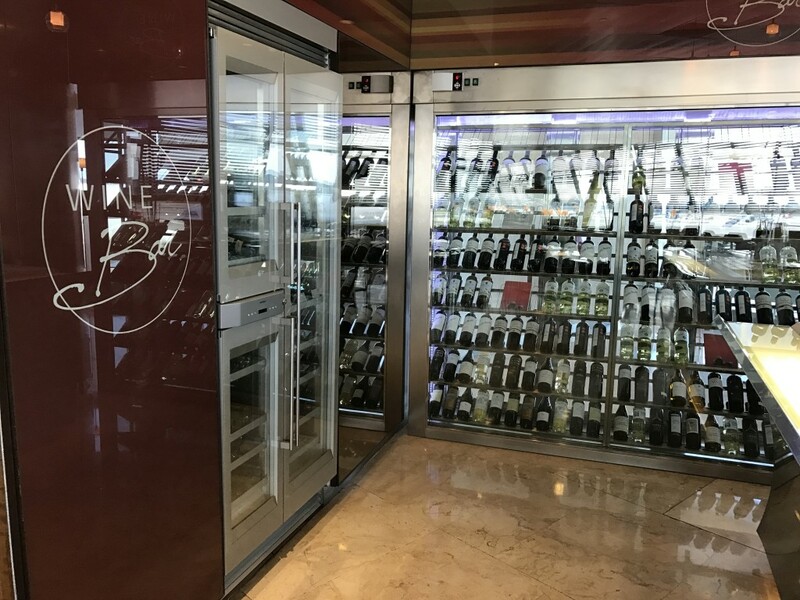 It’s by far the largest selection of wines I’ve ever seen in an airport lounge! Breakfast is from 9am, lunch from 2pm and dinner from 9:30pm. 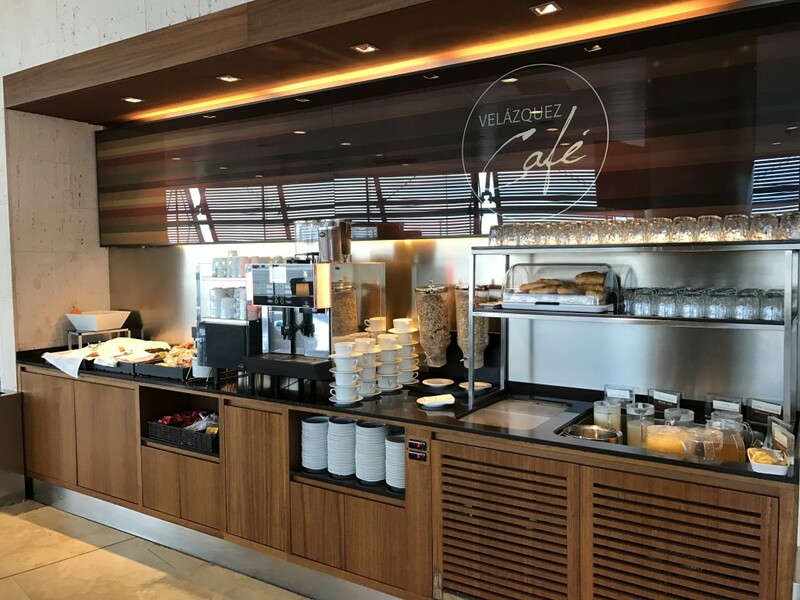 I arrived at the lounge just before lunch (by UK standards, it was already lunchtime) and the Velazquez Cafe still had the breakfast buffet out! There were cereals, pastries, yoghurt and juices. At 2pm the lunch buffet was brought out. 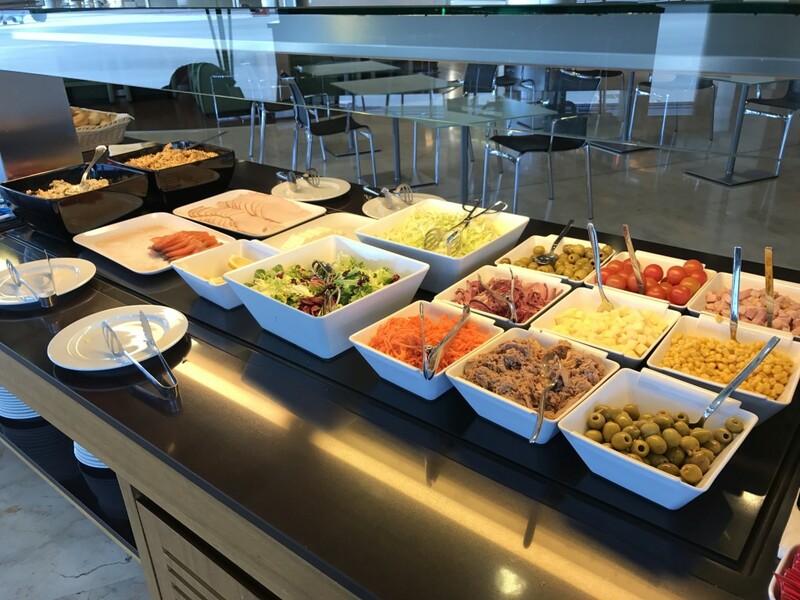 As well as a good salad buffet there were spanish tortillas and pasta bakes. 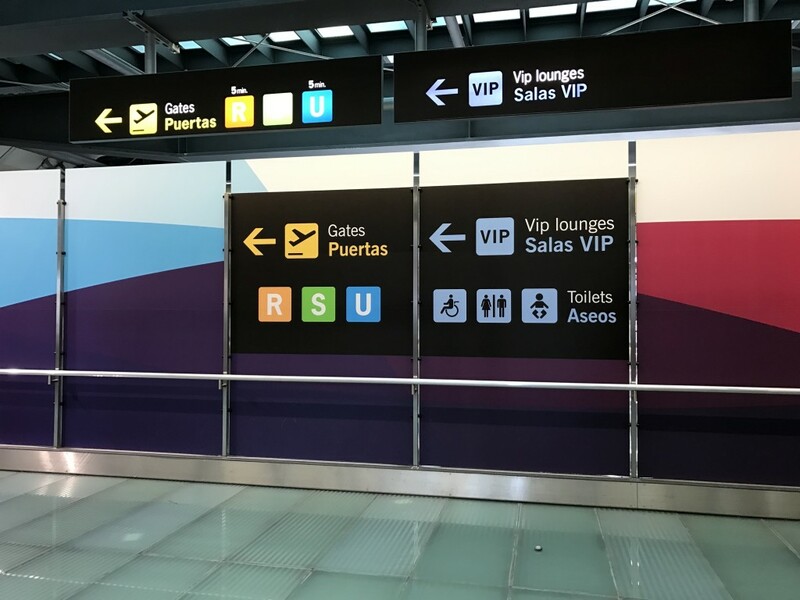 To give you a better impression of what you can expect, here is a short YouTube video of the Sala Velazquez Iberia VIP Lounge Madrid Airport. You can subscribe to our YouTube channel via this page – this is the same link to visit if the video does not automatically appear below. The Sala Velazquez Iberia VIP Lounge at Madrid Airport is spacious with a good selection of food and drinks. Let’s be honest. It isn’t going to win awards for design or style. That said, I thought it had a welcoming atmosphere and the large window front brightens the room. 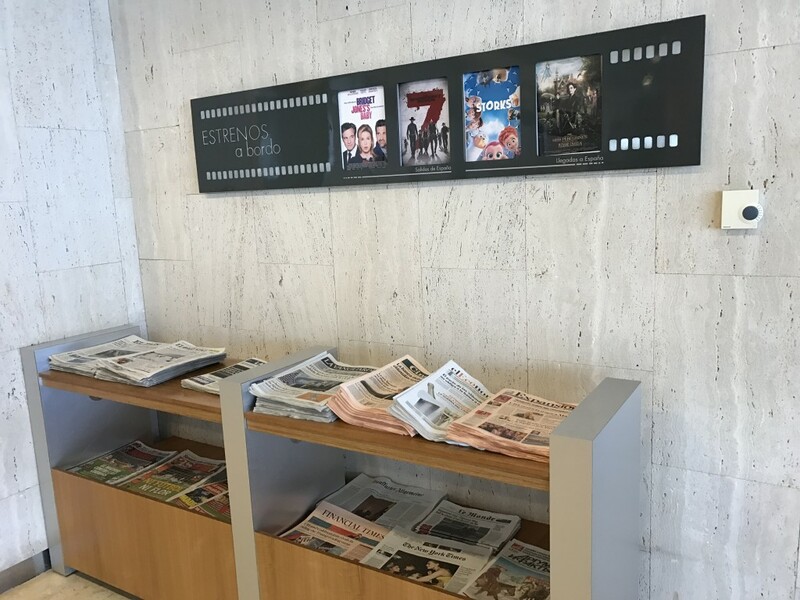 You might expect a little more in terms of flair for the ‘home’ lounge of a global airline, but the average HFP reader won’t be passing through there every week. You’ll get a seat, you won’t go thirsty and you won’t go hungry. HFP ‘Credit Cards’ page updated for February – what are the best deals this month? I really like this lounge. It has a nice ambiance and expansive views. Same, thought it was a really nice lounge. Very quiet when I visited. Good food too – puts galleries to shame. I did the MAD FRA run almost two years ago now and thought it was s Terrie experience. I did it from FRA resulting in me spending the night at MAD Hilton which was very good. 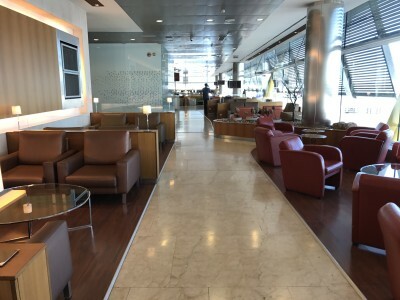 I liked the IB lounge but found the airport to be vast and confusing and I must say I had s hard tone find the lounge. In my view the air Canada maple leaf lounge in FRA was better and probably one of the best lounges in Europe for a non home based carrier. I really enjoy the 4S lounge. The ambiance, the amount of seats, the view of the apron and the wine! I think this is a superb lounge. It is in Spain so the food times are appropriate although I too have been annoyed at the late appearance of dinner. 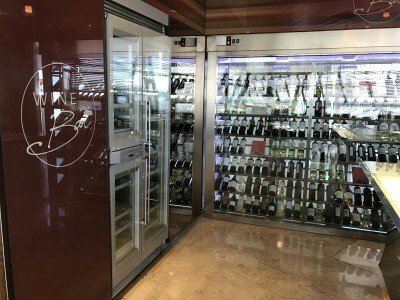 The food and wine are good and you can get a wine tasting. Nice sandwiches too. Cava in small bottles. I think it is the best J lounge I have been in. I am also a fan of the Cava in individual bottles. 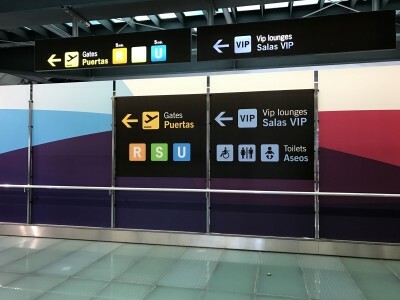 I like the IB lounges at Barajas – agree not winning any design prizes but they work. I like this lounge, although I thought the breakfast buffet was a bit nasty. Definitely better than the British Airways lounge that iberia use at JFK on the return flight. I’ve done that same journey and agree completely. That place was fairly drab. 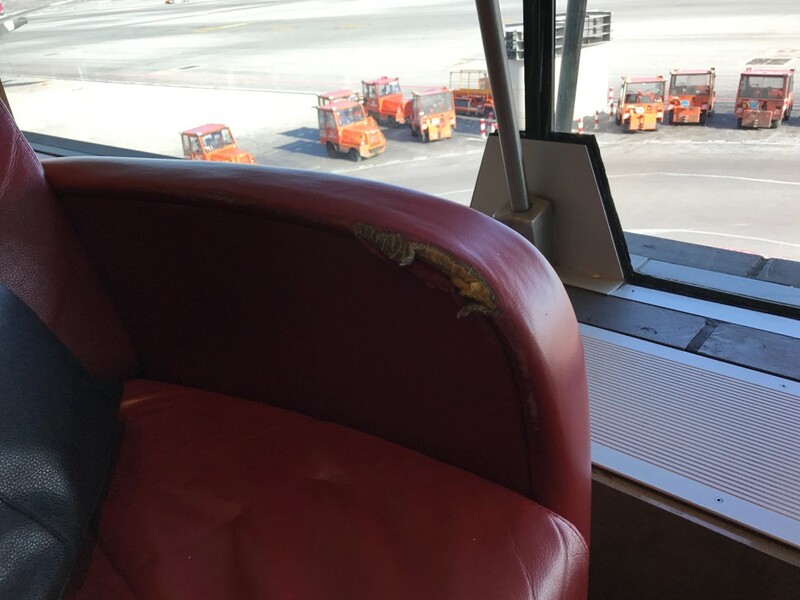 OT But iberia related, does anyone know the best way to raise a complaint with iberia? They’ve completely messed up a recent booking I made and won’t take responsibility for it. The UK phone number just hangs up before speaking to someone and calling the Spanish one always results in them saying they’ll look into it and calling me back and never doing so. I’d like to be able to put it into writing. 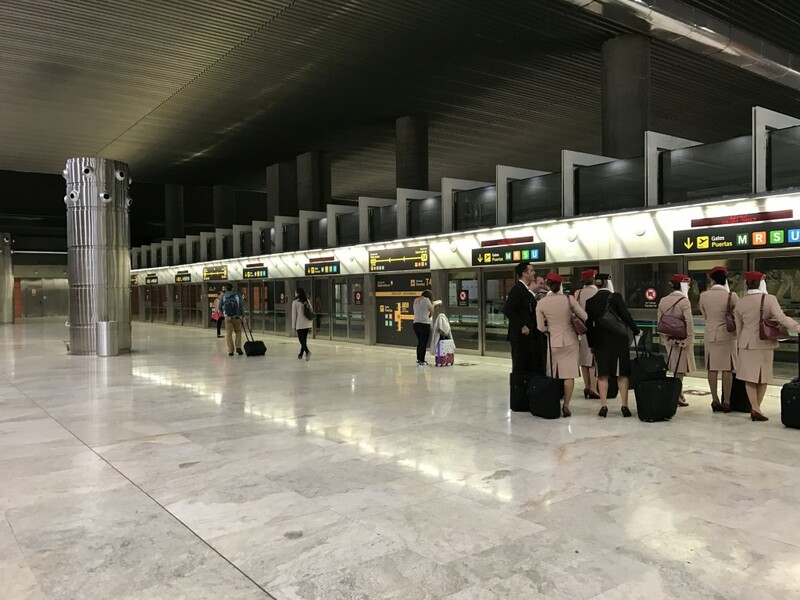 The iberia UK twitter team are really good, @iberia_en . Can’t but agree with my fellow posters about this nice lounge – It’s probably the one I frequent most after LHR and LGW. In fact – due there next week on the way to/from Lima. Spacious, and never seen it really busy. Great views as well. There’s also a pre-flight dining room there. Slight OT but still MAD and LATAM related. Were you able to use Fast Track at MAD when on LATAM Business and (assuming) having status with a oneworld airline. Was denied access and treated very badly by security staff on fast track on the 4th Feb when on the same route. I was denied last year. No biggie as the main security was very quiet at the time. 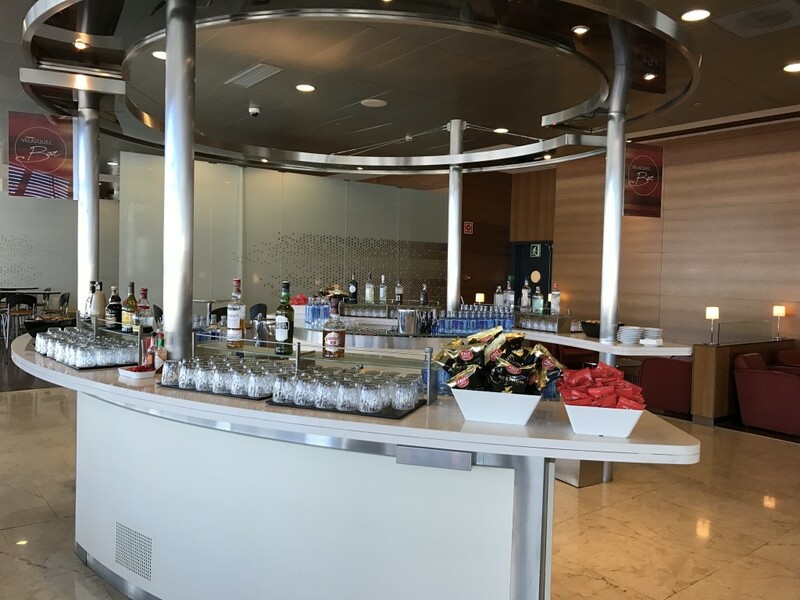 This is probably my favourite lounge in Europe (not that I have a massive selection! ), visiting again in April before an overnight JNB. There are also showers, on production of a boarding pass as collateral. I agree that this is one of the best lounges in the world. The food is particularly good and I’ve never seen such an impressive selection of wines. Unfortunately BA’s MAD-LCY flights were moved from T4S to T4 so I couldn’t use it any more, and now the route is being dropped altogether. The equivalent lounge in T4 isn’t nearly as good – very crowded with inferior food.